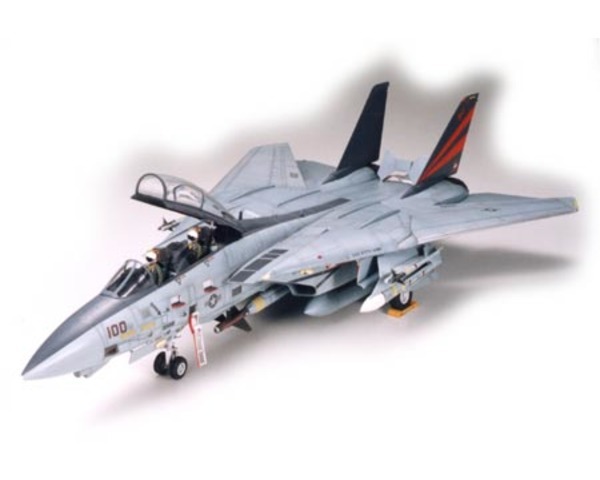 The F-14A Tomcat is still one of the most efficient fighter-bombers in the world. Since its first flight in 1970, the F-14 underwent various improvements. Tamiya provides an updated version of its famous 1/32 scale replica of this big cat. New parts have been designed to replicate every antenna and sensor that has been fitted on the actual plane. You will also find parts to load your model with the latest weapons such as the GBU-16 and GBU-24 laser guided bombs as well as a AN/AAQ-14 targeting pod. 1/32 Scale Overall length: 598mm, Overall width: 612mm.